My first "how to" article was just published in Easy Metal 2015, a special issue from Step by Step Wire Jewelry. 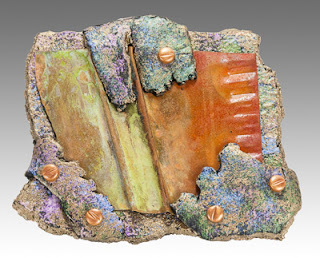 The design is a brooch made from copper sheet and polymer clay. The paper edition should be on magazine shelves soon, but a digital version is available now from the Interweave online store. I'm doing my happy dance.